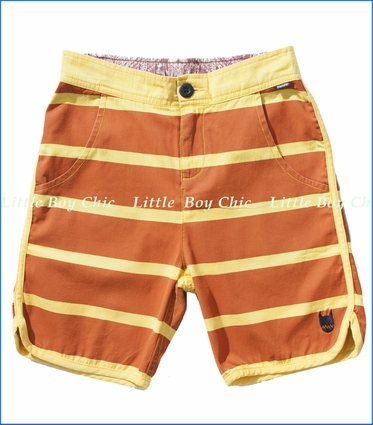 These light weight twill shorts are printed with some hot stripes perfect for the summer. Munster logo embroidery. Signature button and zip fly. 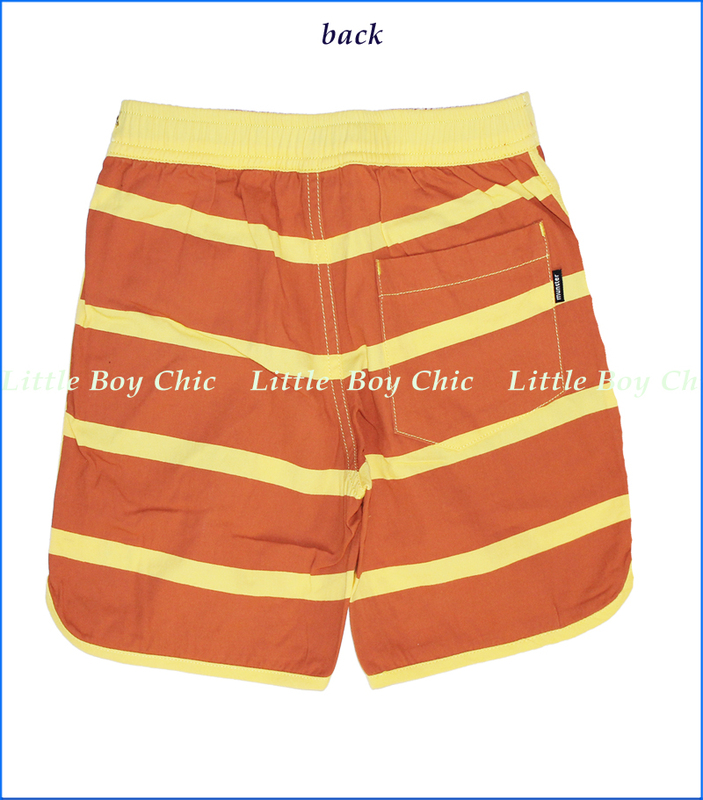 Waistband with half elastic on the back and printed interior. Front pockets and back patch pocket. Coordinate piping on side seam and hem.